An alcohol overdose can occur when a person's blood alcohol content (BAC) becomes too high, at a rate and level that exceeds the body's ability to metabolize the ingested ethanol back to within safe levels. 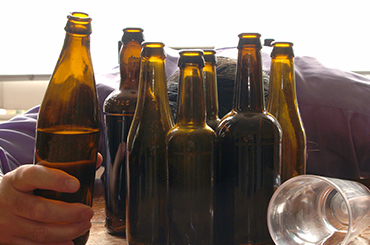 During this period of time, the toxic effects of the ingested alcohol can be life threatening. According to a 2015 article by the National Institute on Alcohol Abuse and Alcoholism (NIAAA), alcohol poisoning is the result of a disruption in brain regions that control homeostatic, or life-support functions like breathing, heart rate, and body temperature, due to the direct effects of alcohol on these brain centers. Severe vomiting, which can lead to death if a person aspirates on their own vomit. It is important to know that a person’s BAC can continue to rise even when they are unconscious, so thinking the person will just “sleep it off” can be dangerous. If you are worried about your own or a loved one's drinking habits, you'll need to prepare for negative outcomes, such as an overdose, or take steps to prevent such dire situations. Please call us at 1-888-993-3112Who Answers? to understand the signs and symptoms of alcohol overdose and abuse. When you consume alcohol, it is absorbed from the small intestine into veins that collect blood from the stomach and bowels. It is then carried to the liver where it is metabolized by enzymes. The rate at which alcohol is consumed. The presence of food in the stomach. The type of alcohol being consumed. All of these factors heighten the risk of an overdose. The quicker the alcohol intake, the quicker BAC increases and the less time there is for the body to metabolize and expel it. About 6 people die from alcohol poisoning every day in the US.Genetic factors also play a role in a person’s potential for alcohol overdose. There may be variations in the levels and/or activity of alcohol metabolizing liver enzymes, and if alcohol cannot be metabolized efficiently, it can effectively increase its toxicity in the body. Women reach higher BAC levels than men with fewer drinks and quicker consumption, which can increase their risk of alcohol poisoning. However, data from the Centers for Disease Control and Prevention (CDC) between 2010 and 2012 indicates an average of 6 people, mostly men, die each day in the United States from alcohol poisoning. According to the National Institutes of Health (NIH), in 2008 there were 29,000 alcohol overdose hospitalizations for young adults ages 18 to 24. Between 1999 and 2008, alcohol overdose hospitalizations increased 25 percent from the decade before. Combination alcohol and drug overdose hospitalizations increased 76 percent in the same decade, with alcohol and narcotic pain medication overdose deaths being most notable. This is because both alcohol and opioid analgesics are depressants and suppress activity in areas of the brain that regulate breathing and other vital functions. Slow breathing (fewer than 8 breaths per minute). Do not wait for all of these symptoms to be present. If you suspect that someone has an alcohol overdose, it is best to get medical help immediately. Call 911. Remember, a person’s BAC can continue to rise even when they are unconscious. Binge drinking usually occurs after 4 drinks for women and 5 drinks for men. NIAAA It is important to pace yourself when drinking and limit the number of drinks you have in one sitting. Make sure you are drinking water in between alcoholic drinks and that you do not drink on an empty stomach. Moderate drinking is defined as 2 drinks per day for men and 1 drink per day for women. According to NIAAA, binge drinking is a pattern of drinking that brings BAC up to 0.08, which usually occurs after 4 drinks for women and 5 drinks for men within a 2 hours. Engaging in drinking games that enable you to drink more than you can keep track of increases your risk of an alcohol overdose. Alcohol is a central nervous system (CNS) depressant, so avoid taking other CNS drugs like sedatives and narcotic pain medications as these increase the risk of respiratory failure and other potentially harmful complications. 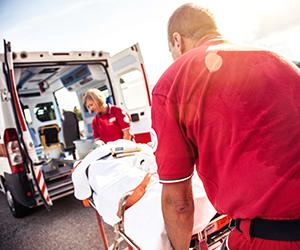 If you suspect that someone has had an alcohol overdose, and you have called paramedics, it is important to keep the patient awake, as the loss of consciousness can be dangerous and even fatal. If the patient has already lost consciousness, keep them on their side to avoid the risk of aspirating (choking) on vomit. Because alcohol overdose can lead to hypothermia, it is important you keep them warm. Home remedies for alcohol poisoning, such as drinking black coffee, cold showers and sleeping off the effects, are myths and can worsen the situation. Alcohol poisoning is a medical emergency, and only medical intervention will treat a patient safely. Unfortunately, there is no way to reverse the effects of intoxication, so time and supportive care are the main options for treatment of alcohol overdose. Most importantly, the patient should be monitored around the clock until their condition improves in order to make sure they do not have any breathing or choking issues. According to Mayo Clinic, medical personnel may administer oxygen and intravenous (IV) fluids to keep a person safe and hydrated. During hospitalization, the patient may also receive vitamins and glucose since an alcohol overdose can result in low blood sugar. In more serious cases of alcohol overdose, the patient's stomach may be pumped to remove alcohol that has not metabolized. IV medication such as Valium may also be administered to lower the risk of deadly withdrawal symptoms such as seizures or delirium tremens (DTs). Headache. Get Help Today Find a treatment center to help you with your alcohol addiction. It is important to remain hydrated while recovering from an overdose and to abstain from consuming any alcohol. 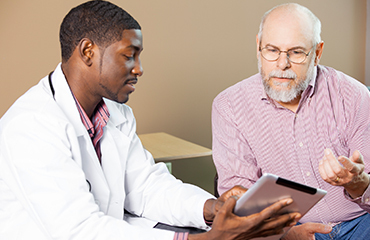 Before being released from the hospital, it is important to ask about follow-up care with a health professional. A social worker may meet with you prior to discharge to assess your need for addiction or mental health treatment services. Successful abstinence requires treatment that addresses the underlying causes of problematic drinking. Processing all this information can be quite overwhelming, but don’t worry, we have experienced treatment support professionals available to guide you through the process. Please call us today at 1-888-993-3112Who Answers?. Kanny, D., Brewer, R.D., Mesnick, J.B., Paulozzi, L.J., Naimi, T.S., & Lu, H. (2015). Vital signs: Alcohol poisoning deaths – United States, 2010-2012. Morbidity and Mortality Weekly Report, 63(53), 1238-1242.